The Bermuda Health Council and Bernews have teamed-up to answer your questions about the island’s health care system. Visit bhec.bm to submit your queries and look for our response on Bernews. Question: Who can answer my health system questions? 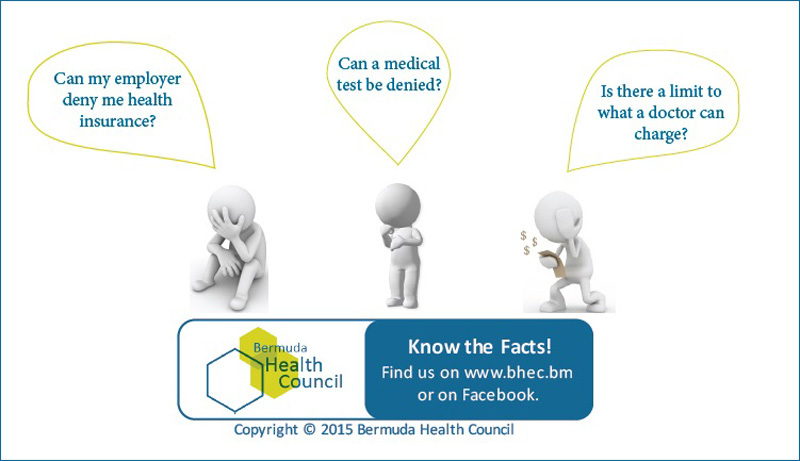 Answer: The Bermuda Health Council! Last year, for example we received 45 complaints and 151 queries from health professionals, the public, government, students, and other organizations. One of our priorities as the health system watchdog, is to help the public access information about our very complex system. The handling of complaints and queries also helps us to identify areas for quality improvements in the health system. To ask a question or file a complaint you can visit us in person, contact us by phone – 292-6420, email – healthcouncil@bhec.bm or use our online query form. Question: What kind of complaints and queries does the Bermuda Health Council handle? Answer: The Health Council handles complaints and queries about health system matters such as health insurance coverage, and billing concerns; we can also help patients access the right statutory body for complaints against health professionals. Professional conduct of health professionals is overseen by the relevant statutory body. For example, if you are concerned with treatment by a nurse, you should contact the Bermuda Nursing Council. For statutory body information visit our webpage: Professional Bodies. Complaints addressed by the Health Council should be in writing as the matter will be investigated. Filing your complaint with us does not prevent you from also addressing complaints through other channels such as with Consumer Affairs Bermuda and statutory bodies. Queries, on the other hand, may be about everything from finding the right health professional for your care to understanding the bill received from a health provider (business); queries do not have to be in writing. We also have an FAQ page on our website which may be able to assist. Visit bhec.bm for more information.